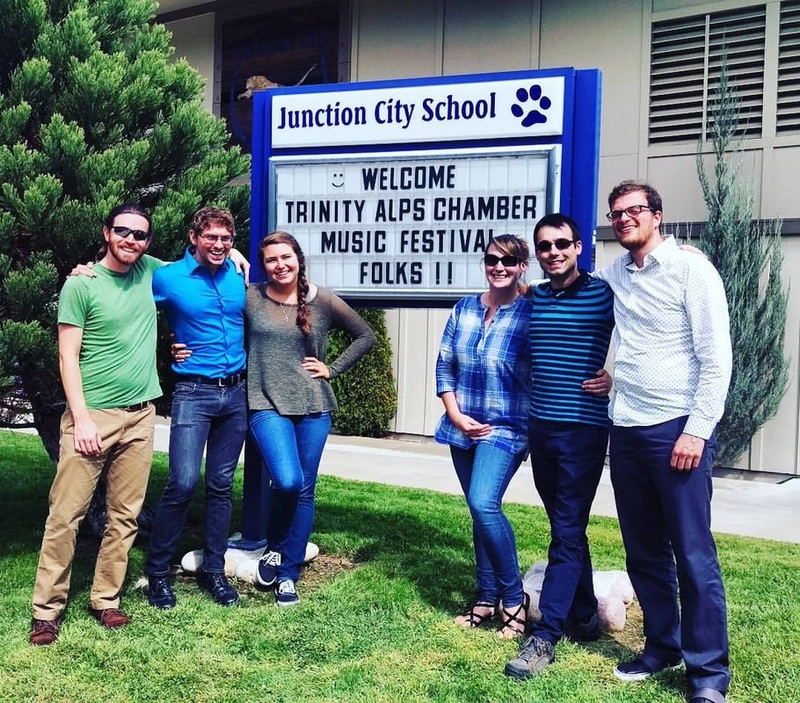 The Trinity Alps Chamber Music Festival is dedicated to sharing our passion and knowledge about music with children in Trinity County and across California through school visits and free community concerts. 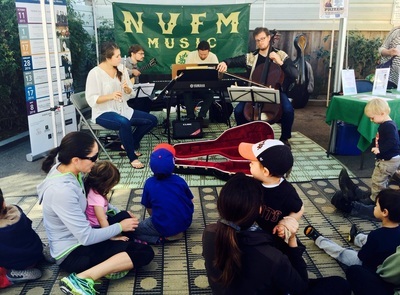 ​A portion of each season's public events are Classical Family Concerts, featuring accessible interactive shows that offer audiences of all ages an "inside peek" to the performers, their instruments, and the music. Family Concerts feature classical masterpieces presented in an easy-to-follow and artful way, alongside such musical storytelling classics as "The Carnival of the Animals" and "Peter and the Wolf". 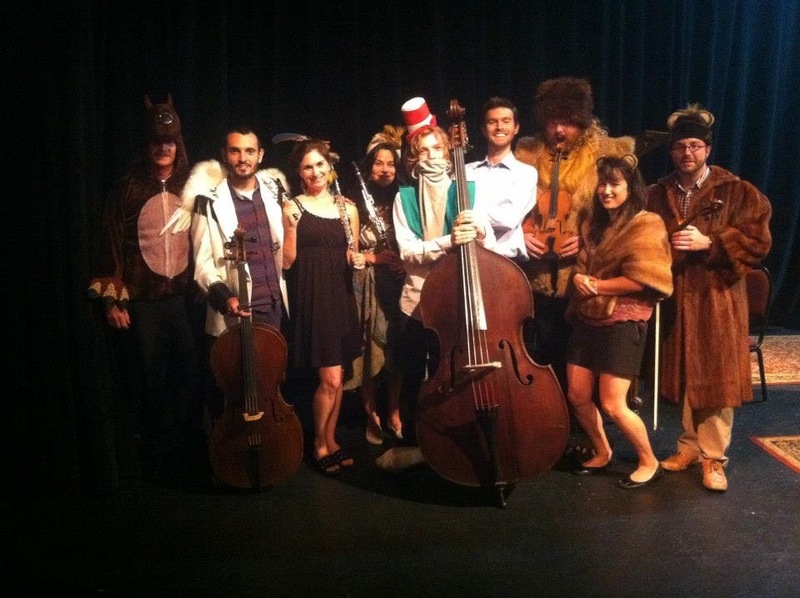 In 2014, with support from the San Francisco Friends of Chamber Music, we commissioned composer Danny Clay to set three of Rudyard Kipling's "Just So Stories" to musical accompaniment, in the style of "Peter and the Wolf". Keep an eye out for two more of Kipling's stories to be set to music by Danny Clay in 2016 - or donate to support this commission! ​ "Carnival of the Animals"
​The Trinity Alps Chamber Music Festival has presented over 50 shows at schools across Northern California including Trinity, Shasta, Siskiyou, and Humboldt counties, reaching an estimated 5,000 students. 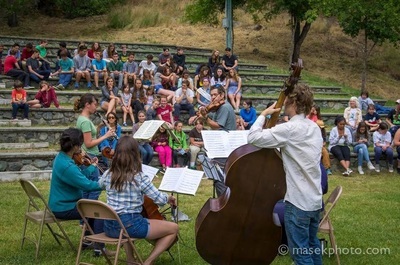 Each school show offers students a chance to see and interact with professional musicians, learn about the instruments, and hear live performances of classical and contemporary music. ​Think your school belongs here?